Too many voices, rather noises, can be heard post the dramatic turn of events in the United Kingdom that saw a four decades old association of the country with world’s most influential economic union coming to an end. All, leaving few, are decrying the crash on global stock markets, plunge in currencies and shift of investors toward safe havens; many have feared an upcoming recession and a deteriorated growth and job market. Is that it? Wasn’t there a world before 1973 when the UK joined the EU, or before the creation of the European Coal and Steel Community, the precursor to EU? Why not then ponder the possible good consequences that can be an outcome of the collective voice of the voters of United Kingdom? Indeed, one picture cannot be overlooked while analyzing Brexit- Rise of nationalist and populist forces in not only Britain but all across Europe, specially Poland and Austria, the United States and the already quasi-autocratic Asia, barring some Southeast Asian countries and India. But will this rise in isolationist ideal bring fortune to GOP’s candidate Donald Trump, a man who has exploited fear of his countrymen for immigrants and resultant job losses in making a smooth road to challenge politically established rival Hillary Clinton? And if experts commenting on Brexit say ‘Yes’, perhaps that is where they might all go wrong. When Scotland boiled down to a ‘No’ when asked to leave the UK and when an alteration in parliamentary voting method was rejected by the Britons some years ago, they weren’t indicators of Brexit (assuming that Britons believe in status-quo rather than disruptions), in the same context, Brexit isn’t a gauge for Trump’s victory. The country I belong to has been reeling under similar pressures post the landslide victory of the ruling BJP party in 2014 general elections. 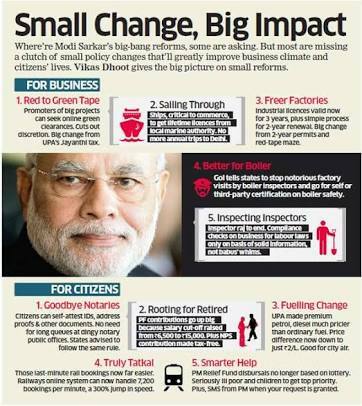 The Prime Minister has been forging new and valuable ties with economies around the world, has been working to improve India’s image in terms of business regulations, the other side of debate is pessimistically focused on nationalism vs. anti-nationalism, the opposition isn’t leaving any stone unturned in categorizing every national event in terms of patriotism and have blamed the government of promoting Hindu nationalism that downplays the interests of minorities. While far right parties in some European countries have invoked nationalism to win votes of those bored of centrally inclined left and right groups, in India this nationalism is being used as a weapon against a centrally inclined right party government. On the economic front, only because the UK will now not be one of the constituents of the European Union, with which governments across the world have entered into free trade and security arrangements, it does not mean that the hold of London, or for that matter, the existing pacts have suddenly come to an abrupt and ill-fated end. Can’t we construe simple sentences? ‘Formal exit of the UK from EU will take two years as per clauses of the agreement’, this means that until a few years status quo will be maintained, and even the later years can see similar arrangements between isolated UK and other economies; who knows they may even be more conducive to businesses and economies than the existing EU ones! Then are there fears of corrosion of atmosphere of free movement of people, capital and finance towards the UK and vice-versa. Let me tell you that last year India welcomed more than USD 50 billion in foreign direct investments, that millions of Indians are expatriates to Gulf and European nations plus to Southeast Asia, Australasia, US and Canada, and that although India isn’t a member of the EU, tens of Indian corporates have their offices in the UK which employ a handsome share of the workforce there. Now stop saying that since the UK is now detached from the EU, Tata’s JLR will suffer billions of dollars in losses, market scenarios are bound to shift, the onus is on the management to strike best deals when such incidents occur, and businesses in the UK, Indian or otherwise, will follow the same call, after all they have hired B-school graduates and financial experts to tackle with similar events, this is a time of test, prove yourself! A few not-so-encouraging facts that cannot be ignored are the wipe off of trillions of dollars from the market in just one day and historic drop in the UK currency. Wait a second! It was energy that cannot be created nor be destroyed, money can be created, of course by labor, but can it be destroyed so easily? Did the markets set ablaze a trillion dollar currency note? No. It was only valuations that have corrected, and the drop in UK currency can also prove to be a blessing in disguise for the economy that has seen stagnated growth; with exports becoming competitive, increase in tourism and a spike in economic activities since the value of money with people has dropped significantly that will persuade them to work extra. The investment that has shifted from risk-on to government bonds and gold are bound to return to the market once dust settles, we all know that meagre interest rates, even negative in some cases on these bonds aren’t what global investors burn their sweat for. Brexit hasn’t resulted in any bifurcation, split of properties or something alike and disturbing. An economy, which was independent for centuries until some decades ago and was the initiator of Industrial Revolution in the 18th century, has just opted for an exit from a union of economies. 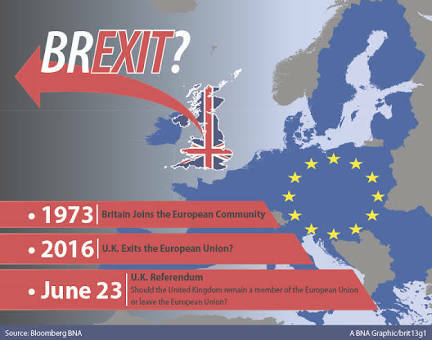 For actual analysis of the negative fallouts of Brexit on European and other economies, if any, experts will need to assume a world without Britain in EU from 1973 till 2016, then compare it with the one that actually was, which suffered from all security and economic downturns, let’s not forget the 2008 global recession and Russia’s tension with Ukraine, and finally reach a clear and comprehensive verdict as to whether Brexit is so bad that international media is laden with all negative and depressing writings. My country has been trying to sign a free trade agreement with the EU, things aren’t working out since a long time, may be the British exit prove a trigger. The UK contributed to the EU fund more than what it could extract, may be country’s exit restructure its finances. And EU countries had been yielding to UK pressure while dealing with global projects like its aid programs in African countries, may be UK’s exit give more teeth to France and Germany. In India, liberalization of FDI regime, reforms in labor and taxation laws, the lately declared seventh pay commission award for central government employees, flagship programs like Make in India and Skill India will decide the direction of economy and job growth, no, Brexit is no factor in this regard. The Indian media too was stormed with negatives on RBI Governor’s sudden call to exit, termed as ‘Rexit’, today, corporates and investors are only looking for a prudent and audacious new Governor to take over from Rajan, Rexit will soon disappear in dimness, no one even remembering it two years from now. Similar is the case with other countries reeling under the so-called shock of the alleged ‘moment of the year’, Brexit. You may either blame all your misfortunes on the way the Britons voted in the June 23 referendum, or can make such structural shifts that will take your economy from the red to green zone. The real monster today, I tell you, is the overflow of news channels and experts who need something to speak about and deliberate incessantly, and their focus these days is Brexit. The world’s economy was already going slow, and no UK within the EU could prevent that, let us also then believe that the exit wouldn’t slow it further, given policies and their directions in individual economies and as a global whole are re-oriented, worked out quickly and astutely. Even the much-condemned atom bomb stopped the World War II, believe it, Brexit is no apocalypse. This entry was posted in blog on July 26, 2016 by admin. Brexit has turned out a disaster for not only Britain but also for entire Europe and beyond. No denying that world does not end here and this even can be a watershed moment in history. The most worrying outcome of Britain vote to leave EU is the potential emerging in Donald Trump in the US. If at all that person wins elections there will a rampage in world market and stocks will be all time low. When together with other EU partners UK couldn’t prove as engine for growth in 21st century then its better that we leave them and look at prospects domestically rather than globalisation and such other promising theories. True. With individual countries and their policy makers inclined toward reforms and liberalization, their should not be any adverse impact of Brexit vote it will be a blessing rather. Fear of xenophobia, sectarianism, class conflict etc have grown in recent years after turmoils in middle east. Prior to that, Europe was almost united after world war 2 and after fall of Berlin Wall. Will anybody think of this on humanitarian grounds? What about tens of thousands of asylum seekers at the gates of Europeans who think themselves as biggest philanthropists in world? A new Prime Minister, a new trade policy and new energy of workforce will combine to produce new results for the country which is slow on GDP growth for quite some time and we wish them luck. India and other developing countries cannot be placed at par with UK and other developed countries. India will grow because they will welcome foreign capital, UK may not because they have other concerns. No surprise if even Trump trumps Clinton in United States presidential elections. The world will become squeezed and fragmanted from now on. EU was even otherwise not working for UK. The country contributes more than what is paid back. Plus there is inflow of migrant workers thus increasing local unemployment. UK better without any union.